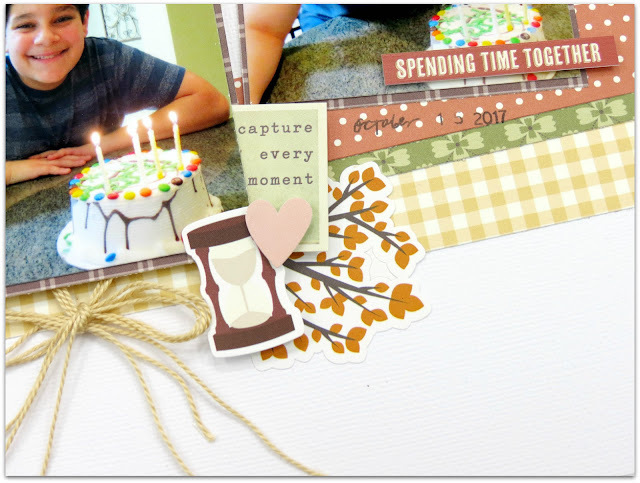 I have a new layout to share with you today, created with the gorgeous main kit from My Creative Scrapbook! I absolutely love the Vintage Blessing Collection featured in this kit! Both my husband and son have October birthdays. 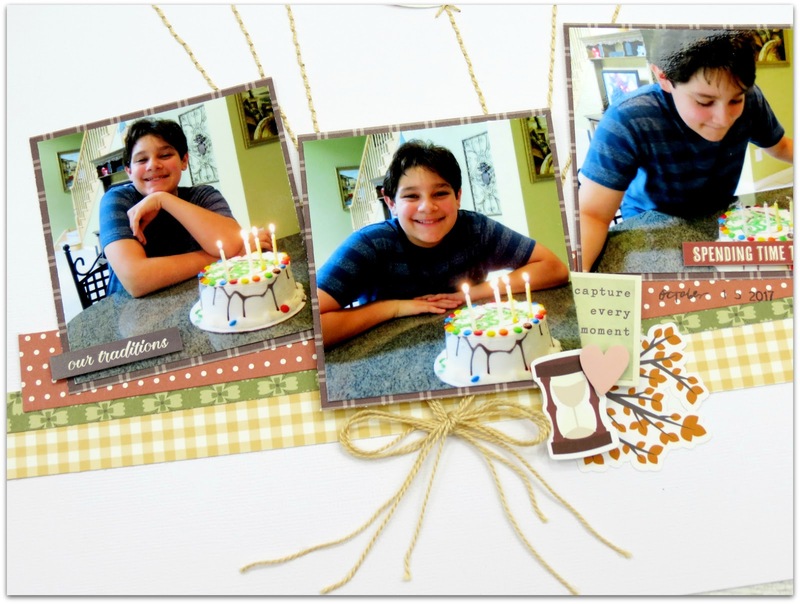 So for this layout I'm documenting my son's favorite way to celebrate his birthday, with a delicious Ice-Cream cake! I started by adding three thin strips of patterned papers to the lower section of my page. 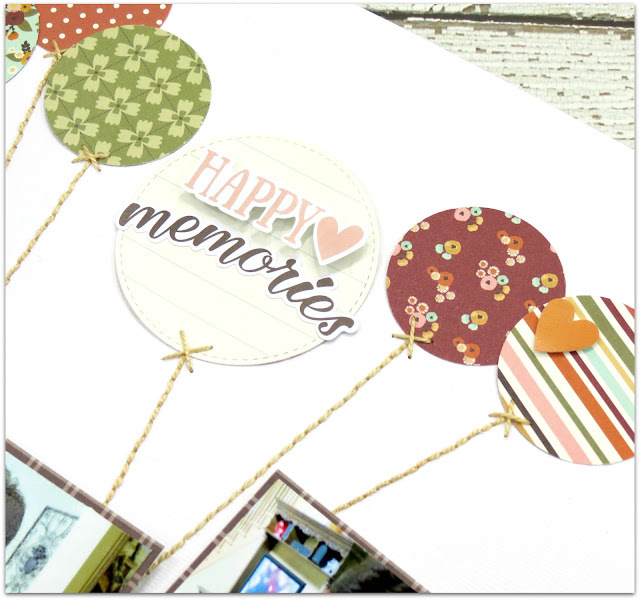 I then selected the patterned papers I wanted to use for my balloons and created several circles using a 2ins circle punch. 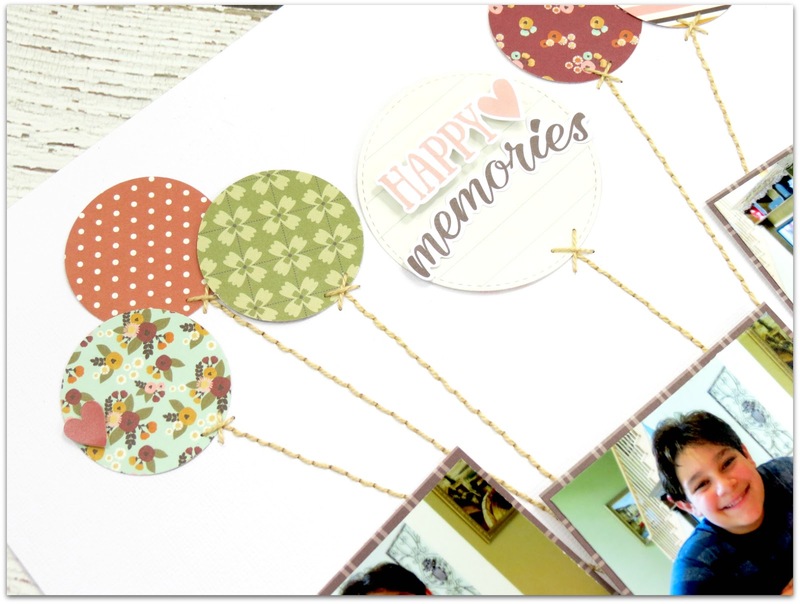 I arranged the circles to the top of my page and couldn't resist adding some hand stitching to complete the look of balloons floating above my son's head, I also tie the string from the stitching to create a bow. I really loved how this turned out, such a great way to add extra texture to one page! 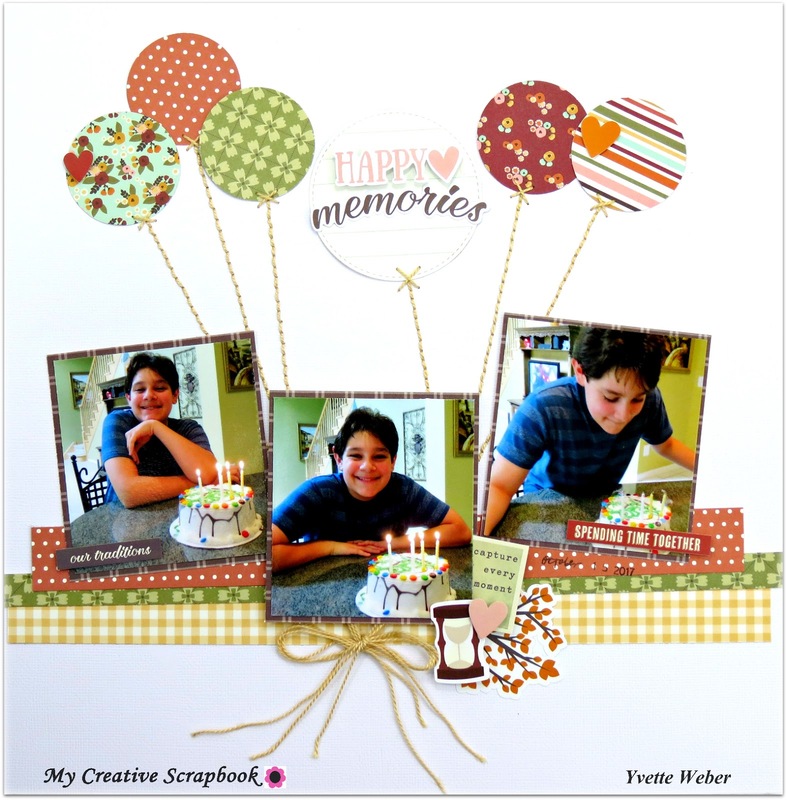 I created a cluster on the bottom right hand corner of the middle photo using a few cardstock sticker from the Simple Stories Vintage Blessings collection and also added a journaling sticker stip to the bottom of the other two photos. I finished the layout off by creating a title using a couple of words from the sticker sheet.